View More In Martini Glasses - Page 8. Double Walled Vacuum Sealed Martini Tumbler By True North, 8oz Capacity, Kitchen Grade 18/8 Stainless Steel, Includes Triton Lid, BPA Free, Holds Ice Up To 24 Hours. Can Also Be Used For Ice Cream And Frozen Deserts. 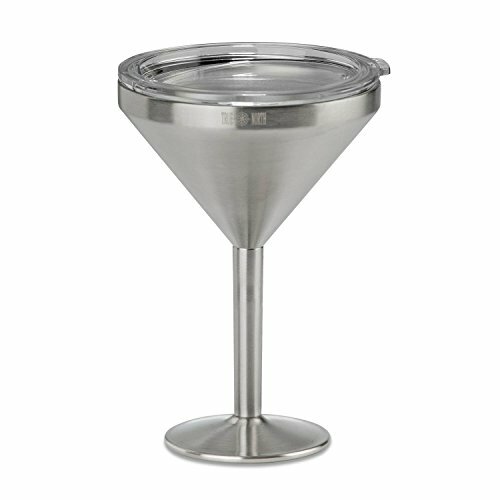 Keep Your Cocktail Perfectly Chilled In This True North Insulated Martini Glass. If you have any questions about this product by TRUE NORTH, contact us by completing and submitting the form below. If you are looking for a specif part number, please include it with your message.